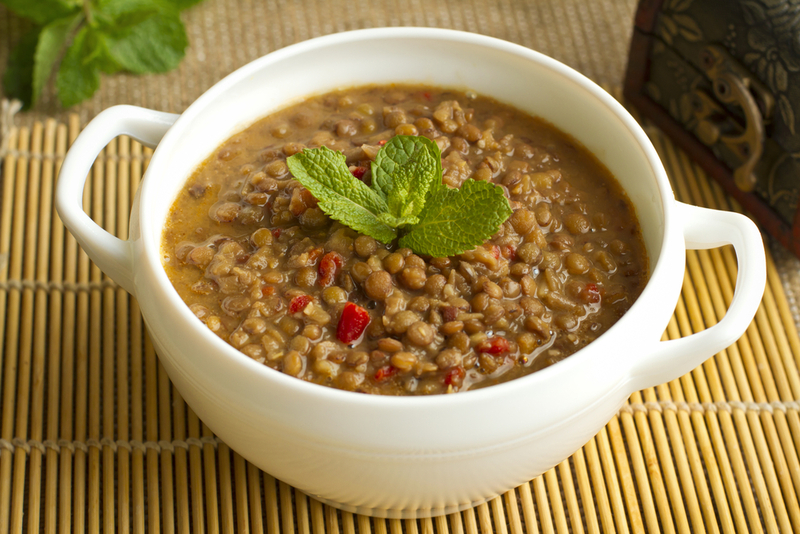 Place the lentils in a large soup pot, add water and bring it to a boil. Let it boil for about 3-4 minutes, then drain the lentils, and place them again in the pot. Add the vegetable stock, tomatoes, olive oil, garlic, onion, bay leaves and carrots and leave to simmer for about 45 minutes to an hour (it always depends on the hardness of the lentil). When cooked stir in the vinegar and season to taste with salt and pepper. Add more vinegar if desired. Info: When served it is usually accompanied with Kalamata olive oils.